If, for any reason, you do not wish to send the fax directly from your email or from the DuoFAX web portal we have a special solution for you which is very user-friendly. 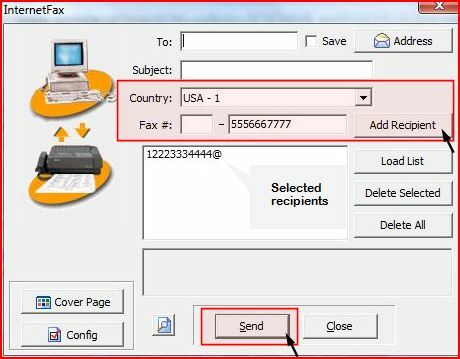 How to send the fax with the software? print the document, and select as the printer "DuoFAX.com"
See how to can send faxes by email or from a DuoFAX web portal.